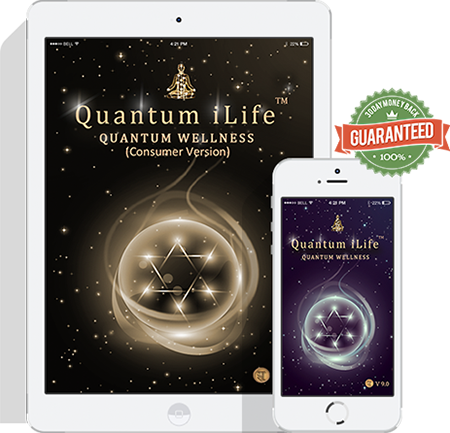 We all knew it was only a matter of time before Quantum Medicine found it's way into the iPhone, iPad and Android mobile devices. Imagine a small hand held device that can analyze your wellness and then "tone" your body with energetic signatures & frequencies using your mobile device? "For many years, we wanted to create a truly revolutionary product. A product that would benefit both practitioner and consumer. We did not want to play the same game and develop a $15 000usd Quantum Device. Instead, we wanted to create an "event". An event that would alter the course of the Quantum industry. It is our hope that with The Quantum iLife/iNfinity, Quantum Biofeedback will be accessible on a much wider scale." says Karen and Ryan Williams, founders of Quantum Life LLC. After the initial scan, The Quantum iLife/iNfinity selects three major items to balance for up to 16 min each. After the three major items have been balanced, you can visit the sub programs for more detailed information on your clients current state of health as it relates to stress.